Remember those carefree, barefoot days of summer? The soft grass beneath your feet? The warm sand between your toes? And, yes, even the occasional stone or twig pricking the underside of your feet uncomfortably! When was the last time your children went barefoot outside? When was the last time you did? 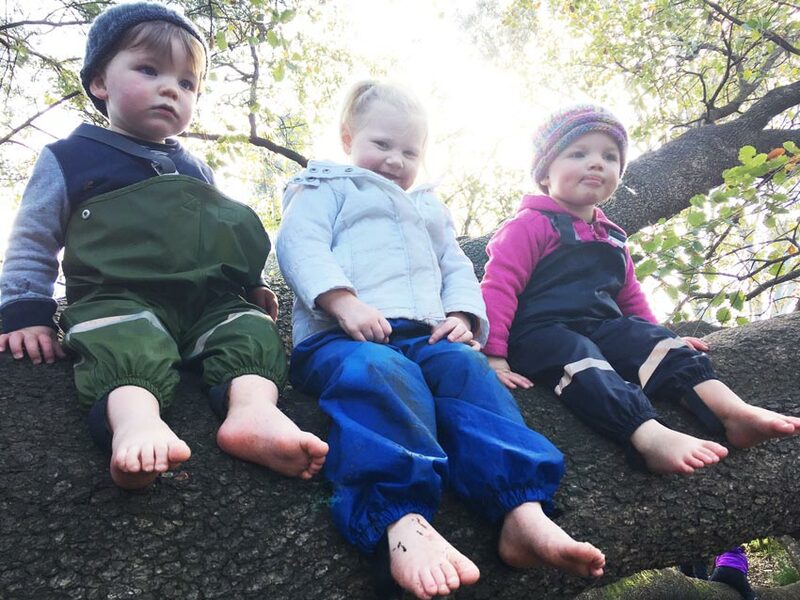 Recent research suggests going barefoot isn’t just an essential childhood memory-to-be-made, but a potentially health-changing practice we should all be implementing regularly – kids and adults alike. It even has a name: Earthing! So here are our top 5 reasons for casting aside your shoes and going barefoot – whatever the weather or season. When we practice Earthing – connecting our skin directly with the Earth’s natural surfaces – negative electrons from the Earth are absorbed into our bodies. This offsets the mass of positive electrons we absorb every day from simply living in a world surrounded by electrical devices, wi-fi and mobile phones. Earthing allows us to help restore our natural balance. 2. Neutralise free radicals…and sleep better! Pain, fatigue, poor sleep, auto-immune disorders and chronic disease are all thought to be related to inflammation caused by free radicals. Boosting the number of negative electrons in our bodies is crucial to keeping free radicals under control, and the simplest way to do this is by Earthing. Walking barefoot for a half hour on the Earth’s natural surfaces gives our bodies time to absorb those necessary negative electrons – encouraging children to do this with you may just improve everyone’s quality of sleep! 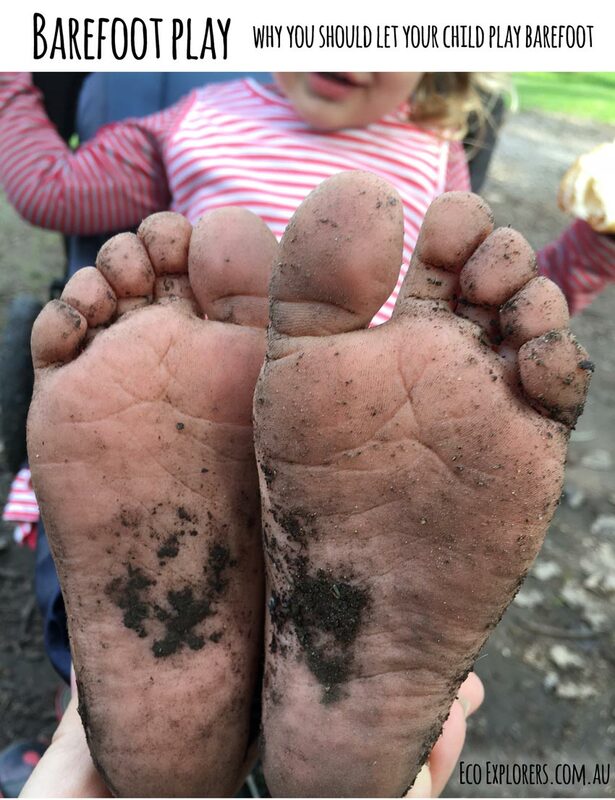 When children wear shoes, they are missing out on the most basic sensory experience of them all – the feeling of dirt, rocks, leaves and twigs beneath their feet. Our feet are hard-wired with multiple pressure points and nerve endings to convey messages to other parts of our bodies. Wearing shoes dulls the effectiveness of these nerve endings, while going barefoot stimulates them and, in turn, our entire nervous system. It’s perhaps the easiest and most cost-effective form of sensory play! Walking barefoot strengthens the muscles in children’s feet and ankles, improving balance and posture. It engages the feet’s arches, strengthening them, and improves the alignment of muscles throughout the legs. This, in turn, helps prevent stability problems in joints such as the hips, knees and ankles, reducing the risks of injury later in life. Removing their shoes immediately requires children to become more aware of their surroundings – how does the ground feel? Is there a sharp rock ahead? What was that rustle in the bushes? Their senses are heightened – they’re paying attention. From that attention comes an appreciation of the natural world they are walking through. They feel the papery leaves crunching underfoot. The softness of the grass. The sharpness of prickles. 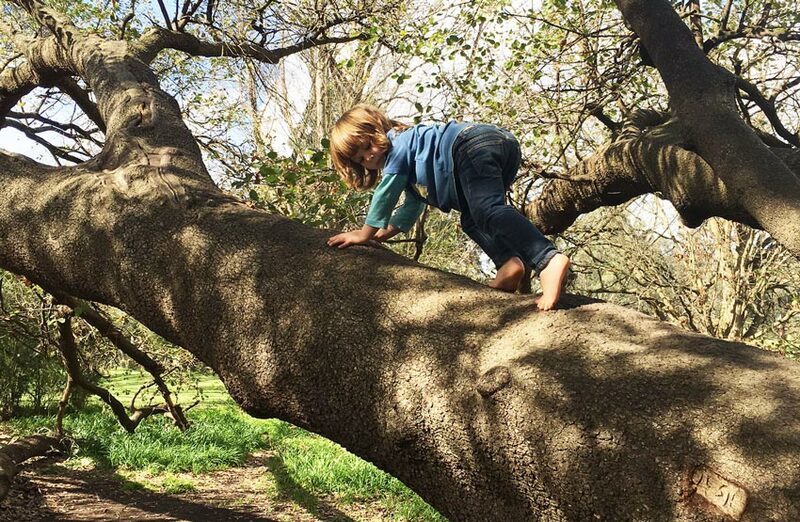 When all five senses are fully engaged, they completely connect with nature and, after all, what better time than childhood to develop a love of being in the natural world? 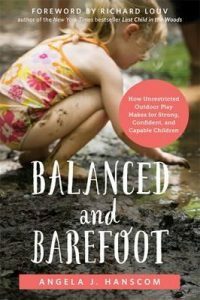 For more information and research regarding barefoot play, we highly recommend the book, “Balanced and barefoot” written by leading Paediatric Occupational therapist, Angela Hanscom. Order yours here from Eco Toys! And if you’re still not sure whether to send your kids outside without shoes, just remember: kids are 100% washable. Guaranteed! Want to join in all the outdoor fun at one of our Eco Explorers bush playgroups? Click on the clink below to find a location near you!